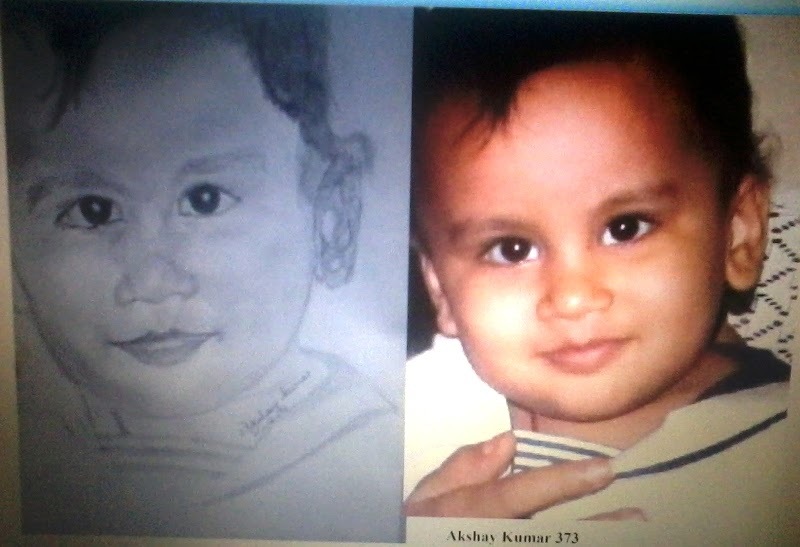 Pencil Sketch of A 2 year old baby by Akshay Kumar. This is one of the pencil sketches by me. This was requested by the parents of the baby from Jodhpur, Rajasthan. 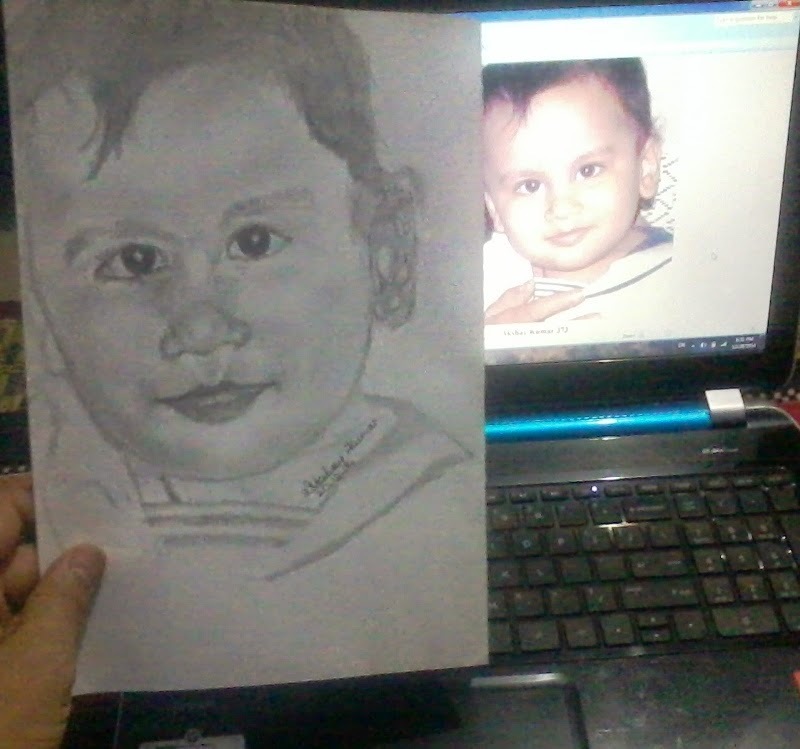 It took 4 hours to draw this baby portrait. The result was satisfactory.These are the photographed images of the sketch that is why its not clear. I will try to upload the scanned images so that the shades becomes clear.